Elia was born in Ramla in 1928. He completed his high school in Jaffa but was unable to join the university to study engineering as he aspired to because of his family's financial circumstances, despite having received an excellent degree in the Beirut exam. He moved to Jordan to live with his family, which was expelled from Palestine after its occupation in 1948. He worked as an accountant at Tawfiq Al Qattan Company for 3 years. He acquired the experience that enabled him to establish his own business. 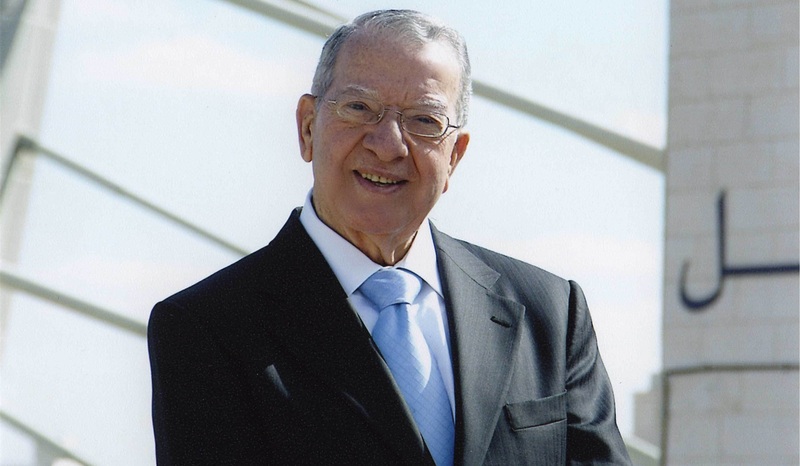 He obtained a license to import in 1952, rented a warehouse in the sugar market in Amman and started building a business network that enabled him to develop his work quickly. In 1955, he imported a paper machine for $ 17,000 and began producing the famous brand of fine paper napkins. The project evolved from machine to factory in 1962. Then another factory was opened in Lebanon in the early 1970s. It has continued its rise in the world of commerce to the present day. The companies were named "Naqel Group" and they include 30 companies in eight countries and employing about 6,000 employees. Its products are exported to more than 45 countries around the world. The company has developed into luxury cars (Porsche, Lamborghini, Audi, etc. ), stationery, construction, packaging, printing, manufacturing, paper, banking, insurance, food and other sectors. Although the group has expanded, its most important companies are FINE, which is the Middle East's largest manufacturer of napkins. In addition to many philanthropic works in Jordan, Palestine and Lebanon, he has many charities, most of which are based on supporting and developing young people and helping them study. In 2008, he published a book about his autobiography entitled "a Promise Achieved", in which he referred to the reason why he published a book about his success story as a businessman who moved from poverty to success, as an incentive for young people to draw on accumulated experiences in the business world, and the various transformations that are taking place on economic, social and political levels.